It is with great pleasure that we extend an invitation to all members of the East Asian Bowling Council to join us as we host the 28th East Asian Bowling Championships which will be held from September 13 to 21, 2018 at the Yancheng Bowling Centre, Yancheng, China. The organizing committee has already begun its efforts in ensuring the success of the championship and will make sure that each request is accommodated accordingly. Yancheng, literally "Salt City", is named after the salt harvest fields surrounding the city. According to historical records, collection and production of sea salt in the region began as early as 119 BC during the Western Han Dynasty, when the settlement on the current location of Yancheng was named Yandu County. 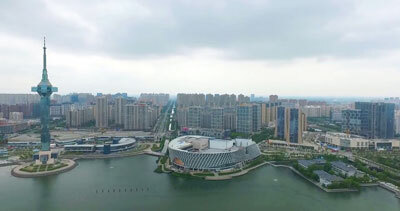 Yancheng city has flights to major domestic cities and international flights to and from Korea, Japan, Thailand, Indonesia, Hong Kong and Taiwan. The official hotel is Hongji Xuanwu Hotel which can be reached within 8 minutes walking distance to and from Yancheng City Bowling Center. The standard room rates given by the hotel is US$75.00 for two person (inclusive of WiFi and breakfast). Reservations must be made no later than August 1, 2018 through Yancheng Bowling Association. With this, please find the Bulletin 1 which includes the general information of the event along with the rules and regulations governing the championship. All member federations participating should check if they will need to secure a China Visa to avoid any problem at the point of entry.